Light up a Child's Life this Chanukah Season - DONATE TOYS TODAY! Donating toys is easy! Click on SHOP NOW to purchase the toys or games you would like to donate. You will be emailed a tax receipt at the time of purchase. All goods ordered online will be donated directly to the Children's Hospital of Michigan. Online prices include shipping, handling and tax. Thank you! Your contributions will strengthen our community by bringing the joy of Chanukah to young patients. 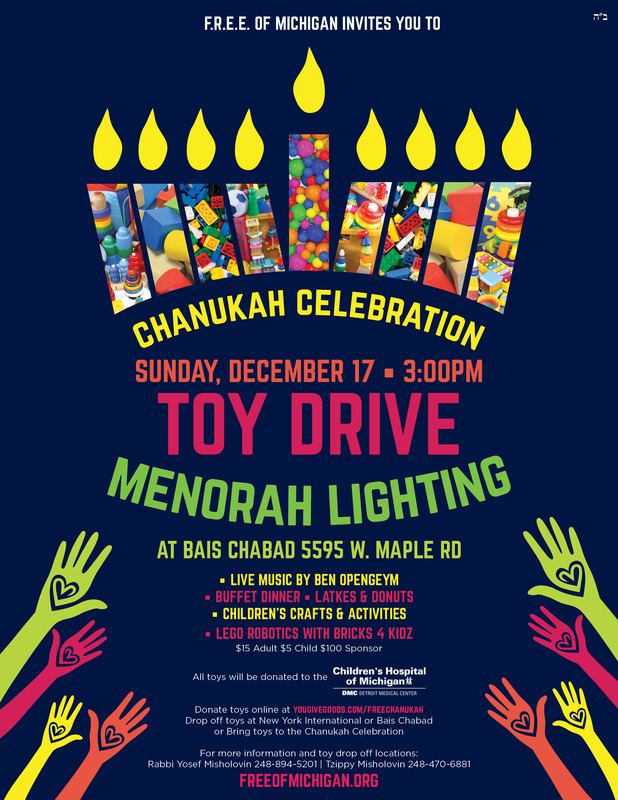 Join us for a Grand Display of the Toy Drive Collection & Community Chanukah Celebration on Sunday, December 17 3:00PM.